Looking for a USED GMT35/10000? What we manufacture is more than machine tools! We always focus on DETAILS which keep FULLTONTECH stand in the market for over 17 years. Fullton Machinery Group is headquartered in Dalian, is one of the leading machinery group specializing in producing heavy duty machine tools, it has four factories in China which mainly produce vertical lathe, boring mills and heavy-duty horizontal lathe, both conventional and CNC types. In reliance of the advantage in product range, reliable quality, technical back-up and after-sales networks over 30 countries worldwide and FULLTONTECH has become the well-known Chinese brand name overseas. Fullton Machinery would like to offer its best machines with best solution, and build itself as the bridge and window for both overseas and domestic enterprises and customers. Combined with outstanding productivity and service, our customers enjoy a significant market advantage. We believe in achieving excellence and that there is always room to improve. FULLTONTECH consistently strides ahead of the pack in precision, innovation, service excellence, and a practical, sustainable approach to business. 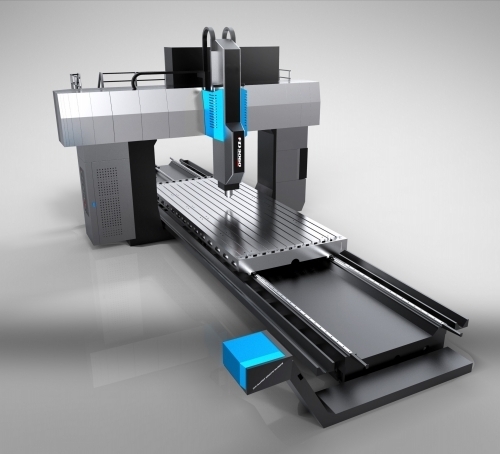 Looking to Purchase a New FULLTONTECH GMT35/10000?